Miso is a paste from Japan made from crushed soybeans, barley, rice or wheat and a mold known as koji. Miso is fermented anywhere from a few weeks to a few years. The most common types of miso are red, white, barley and soybean. Miso was introduced to Japan by Buddhist monks in the 7th century, and has several well known health benefits. Red miso is a mixture of white rice, barley or soybeans fermented for one to three years. It contains the highest levels of protein. White or yellow miso contains a higher percentage of rice koji and less soybeans, is sweeter than red miso and contains a higher percentage of carbohydrates and a lower percentage of protein. It is only fermented for a few weeks and has a shorter shelf life than other varieties, usually up to two months refrigerated. Soybean miso is a reddish-brown, chunky miso, made only from soybeans with a fermentation period of at least a year. 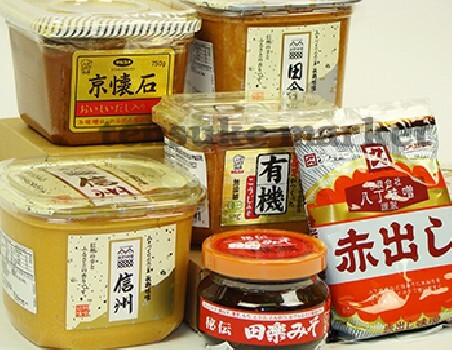 Miso is regularly used by vegetarians, but some varieties of miso are blended with dashi (bonito) stock, so check the label if you are vegetarian. Miso is rich in micronutrients such as tryptophan, manganese, vitamin K, vitamin B12, and Zinc. Miso is also a vegetarian source of omega-3 fatty acids. It is also packed with protein and is a nutrient-rich salt substitute. 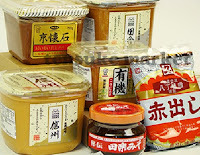 Japanese research has also found miso to be a good source of antioxidants. Most Japanese will consume miso as either a soup (miso soup) or as a sauce accompaniment to dishes. Hi..! I just found an old sealed small container of american made red miso paste in a compartment of my fridge. I didn't see it till today while clearing my fridge out of stuff. It's passed two years since expiry date. Is it still okay to eat? it's got no meat or fish or anything. Thanks. I think it is probably OK but to be safe I would throw it out and buy a new one!